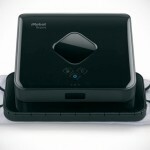 after invading your pad’s floor and gutter, iRobot is unleashing yet another robotic janitor into our homes: the iRobot Mirra 530 Pool Cleaning Robot. 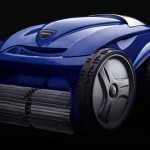 a robotic pool cleaner is not exactly the newest innovation but nevertheless, part of the Bedford, Massachusetts firm’s plan to stuff our lives with robotic helpers. as with most pool cleaning robots, the Mirra is designed to clean any in-ground pools and features a dual top-load filter canisters for easy and quick emptying of debris. 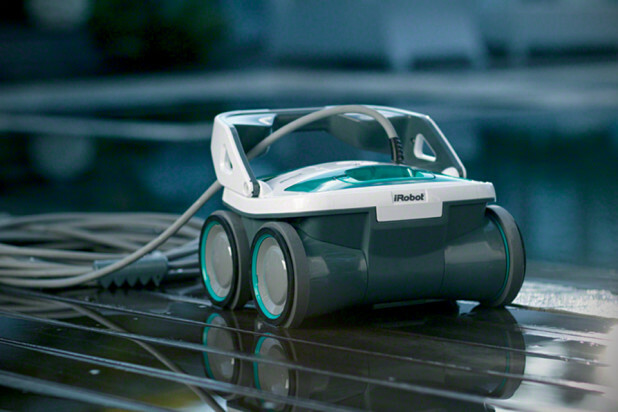 the Mirra also features iRobot’s iAdapt Nautiq Responsive Cleaning Technology that enables the robot to estimate the pool’s size and choosing the optimum cleaning cycle accordingly. the robot will do multiple passes over the entire inside of the pool from the floor to waterline to the walls and stairs. like its land-roaming counterpart, the Mirra is smart enough to detect obstacles and navigate around them if necessary and of course, it will also ensure that it will not tangle itself to the 60-foot floating power cord while executing the job. other features include a self-contained vacuum, pump and filter system that works without suction lines, PVC active scrubbing brush for removing dirt, algae and bacteria off the pool, fine filters to capture debris as wee size as two microns, and pumps and filters system that can handle up to 70 gallons of pool water per minute. available this Spring with a price tag of $1,299.99 in North America and select countries worldwide. prior to that, the Mirra will be showing off its skill set at the 2013 International CES in Las Vegas, starting from Tuesday (January 8). scroll down for a few more look and a product video.